I'm a fly fishing guide in Northern Michigan. When I'm not fishing I'm riding. I had the Big Hit, just watched some old school Pranked series this morning. ???? 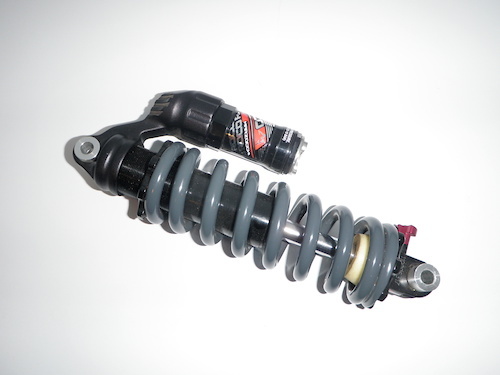 Brand New Take off Marzocchi Roco R Coil rear shock. 8.5 X 2.5 This shock was taken off a NS Soda FR, has about dozen rides on it. Would like $230.00 for it, will include shipping. Comes with manual. No Returns!!!! Pay Pal only. 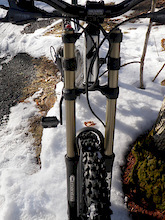 Mint Condition Rock Shox Totem Dual Air Fork White. Adjust externally from 135mm of travel to 180mm of travel. Yes you can climb up the Mtn. with this fork. Color is White. Take off from NS Soda FR. This fork has about a dozen rides on it. No cable rub , no scratches it's mint. Steer tube is Tapered and Steer Tube Length is a little over 7 inches. Disc Brake Only set up for 200mm. Comes with 20 mm maxle and owners manual. $500.00 will include shipping. No Returns!!! Thanks Prefer Pay Pal only!!! Like New Six Six One Compresion Suit Size Medium. $50 plus shipping. $70 will include Six Six One knee and Shin Guards size Medium and shipping. Thanks!!! No returns, Pay Pal Only. Posted in "NS Soda FR 26 inch"
Are you interested in buying??? ?